I would like to announce full production for Feral Marine. We have a line up of 6 vessels. 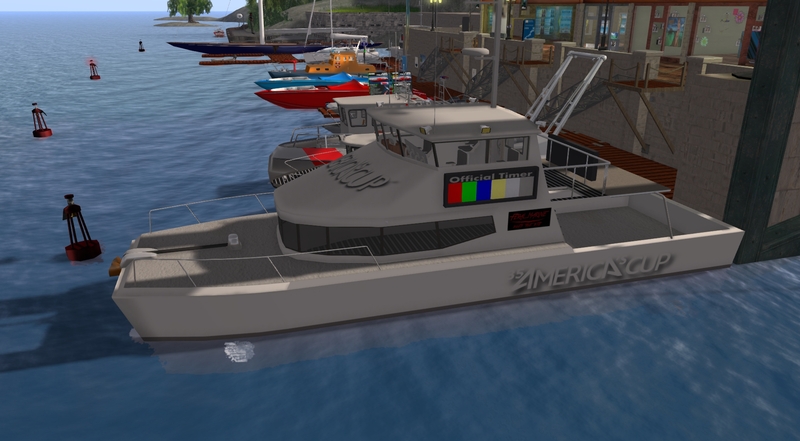 This boat will feature the same MYOW (Motor Yacht Operating Widget) engine that we all know and love as well as be able to deploy buoys! 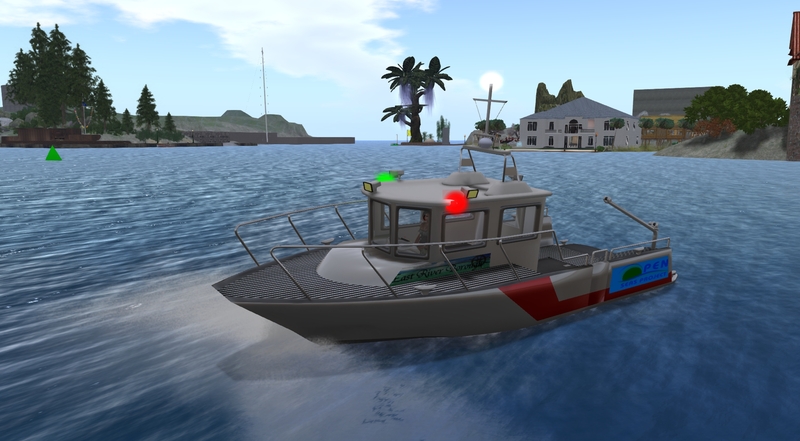 This boat was a request from Don Berithos from the Seychelles Isles. It has been completed but remains unscripted. This boat can be seen in world manning the America’s Cup race lines! 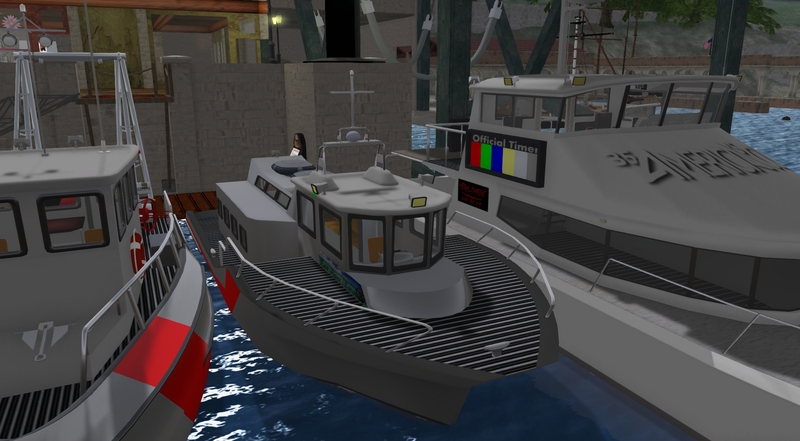 The timer clocks on the sides and stern of the ship will be scripted to work with the race lines in SL made by Hay Ah. 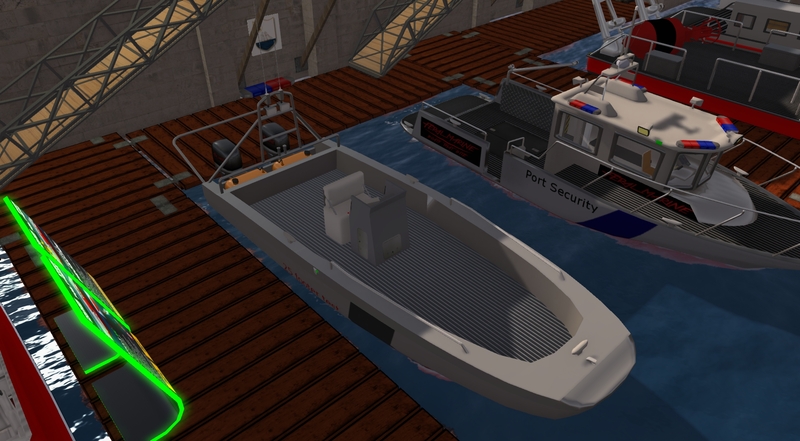 A small vessel that is in development still. It is very close to completion. 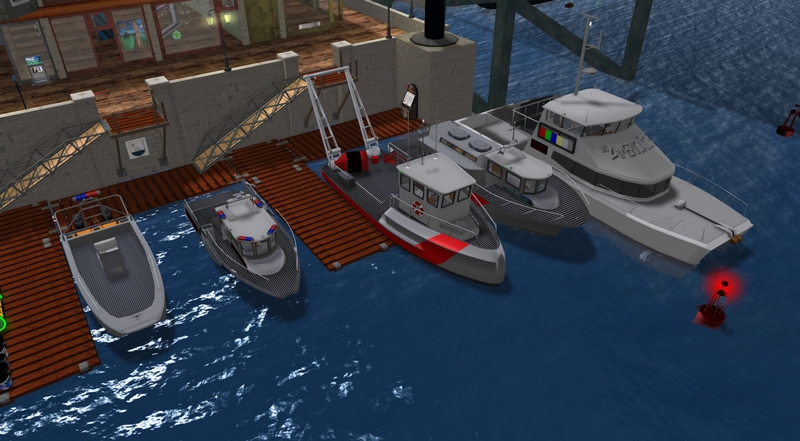 This was a request made by Ariana Blackheart based off a Boston Whaler Guardian design. 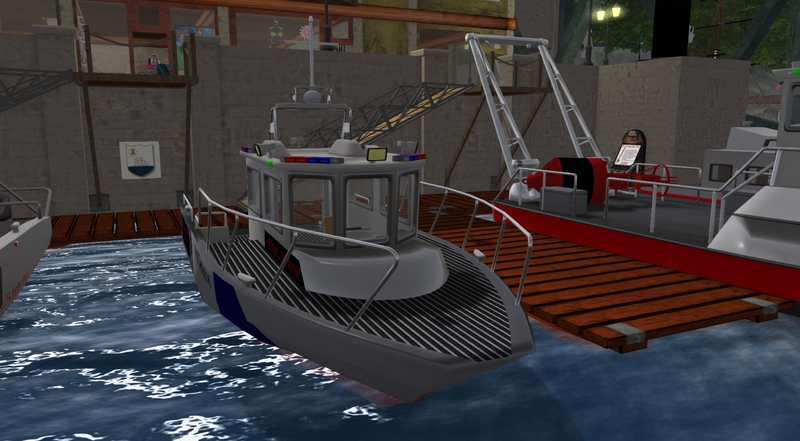 This boat will feature working emergency lights and the same MYOW engine used by all of our boats. Right now there is one more boat in the early stages of development. 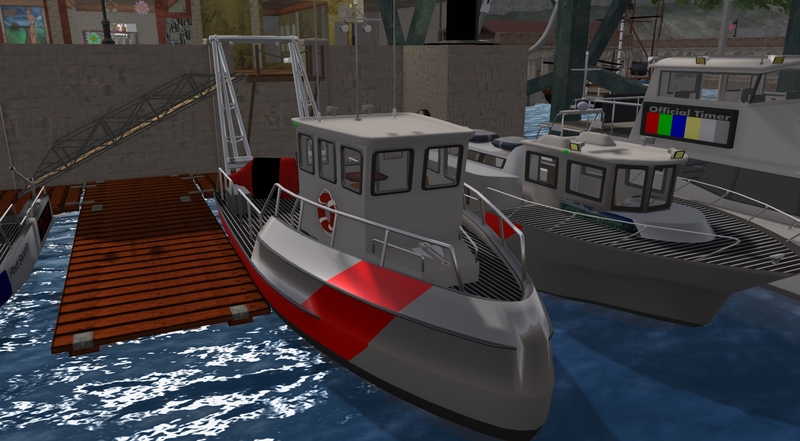 this boat will be a collaborative effort between Feral Marine, F-Guard, and Foilborne Industries (Ape Piaggio). All I will say about it right now is that it will have working water cannons. Built with pride in the East River Borough and East River Community.